Intensely Sparkling Flakes - With the Artisan Nail Art Pigment Flakes you get a gold and silver flakes duo that truly sparkles. The result is bold, dazzling looks that are perfect for parties, night outs and more. 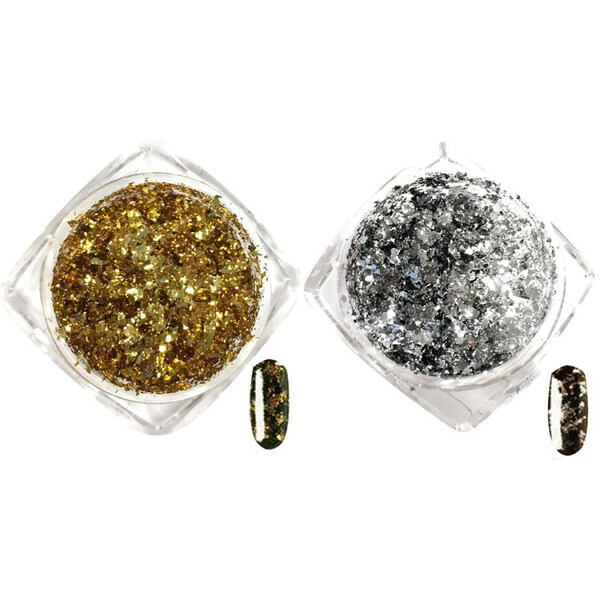 Radiant Pigment Particles: Pigment flakes are so radiant that they appear dancing on the nails! Expect a gorgeous night sky effect over a black gel polish base. Amazing Nail Art Made Simple: Flakes are easy to apply. Don't forget to purchase the Sponge Applicator for fast, easy results.